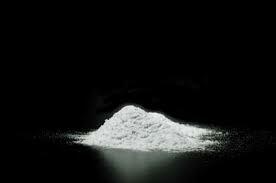 A MBARE woman has earned herself a 15-year jail term for illegal possession of 2,3kg of cocaine with a street value of $185 464. Veronica Matongo was sentenced yesterday by Harare magistrate Hosiah Mujaya. The court heard that on November 23 last year at around 10am, detectives from the Central Investigation Department Drugs and Narcotics unit received information from an anonymous caller that Matongo was dealing in illicit drugs and was on her way to a lodge along Seke Road in the capital. Detectives then carried out surveillance at the lodge before Matongo arrived in a Honda Fit vehicle driven by Stanford Tsoka. The detectives followed the vehicle and kept monitoring as Matongo disembarked and left the car park carrying a navy blue travelling bag. The detectives then followed her into the lodge and caught her before she entered her room. They identified themselves and explained the purpose of their visit to her and on interviewing her, Matongo told the detectives that she wanted to see a friend, but when a search was conducted, it was discovered that the inner metal lining seam of the bag had been tampered with. Matongo was then taken to Harare Central Police Station, where a thorough search was conducted by unscrewing the metal lining of the bag, leading to the recovery of two khaki papers containing a beige powdery substance, which tested positive as cocaine. Michael Reza appeared for the State, while lawyer Frederick Gijima represented Matongo.